Sell Your House For Cash? How can someone sell house in a matter of days? If the seller needs to sell house for cash and fast, we have the funds available right now to purchase it! We work with private investors and private funds. This enables us to purchase properties in the matter of days. We don’t use banks because the process just takes too long. We don’t have to go through the loan approval process and wait for some committee to give us the green light. We, as home buyers, can purchase the home in as little as 5 days if necessary. Closing is scheduled according to the seller’s needs and timeline. Seller can sell their house fast or we can arrange it for weeks ahead. Sounds interesting. How exactly does it work? First, we need to gather some basic information about the property. You can give us a call at 860-589-4663 or fill out the Property Info Form. We’ll arrange a time to see the property. We will then present you with a no-obligation, cash offer. If you accept, we will buy your house quickly and hassle free. Is there a particular type of house that you look for? No, although the majority of the houses we buy are single family homes, we have also bought multi-family homes. My house needs some repairs and/or updating, are you still interested? Absolutely! We buy houses in ANY condition and ANY situation. I think it is important for customers to realize that there are no fees, no commissions and no obligations, so they really have nothing to lose. If the seller doesn’t like our offer, they are free to try to sell their house themselves or list it with an agent. We recommend that they call us first, because we can often save them time and money since we buy houses in a matter of days. Will you make a “big production” of the sale, so the whole neighborhood knows that we are selling? Not at all. Just the opposite. There will be no sign posted in the yard. There will be no open houses. No people (agents, buyers, neighbors, strangers, etc.) walking thru. Just a quick, fair, standard transaction, without the hassles. Also, all information is kept strictly confidential. Does it matter how much I owe on the mortgage? No, it doesn’t matter. If the mortgage is larger than what the home is worth, we engage licensed debt negotiators to negotiate on your behalf. It all just depends on the individual situation. So, whatever the reason you have to sell your house fast, for cash, call us at 860-589-4663 or fill out the Property Info Form. Remember, there is no obligation, no commission and we’ll take care of all the paperwork. You have nothing to lose. How long does it take to get an offer on my house? Generally within 24-48 hours after seeing the property. We buy houses primarily in Central Connecticut. We will entertain other parts of CT as well. If you are outside of this area and not sure if we buy houses in your location, call or email us now. 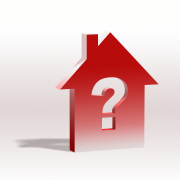 What if my home is currently rented by a tenant? If you are currently renting your home, that is no problem. We buy houses with tenants in place or assist with relocating the tenant when needed. And bad tenants are no problem either. If you have a problem tenant and want out, we can buy your property and deal with the tenant issue ourselves.